Salonist is a spa and salon management solution developed by our team to empower businesses in this industry. Used by businesses such as massage and spa centers, hair salons, beauty salons, and health clinics, among others, our tool is built with a keen understanding of our user base’s most important needs. CompareCamp, a reputable business software directory with a team of experts conducting SaaS reviews, took a detailed look of our features, tools, and overall functionality. The result? We gained two valuable awards in our collection: Great User Experience and Rising Star. We are granted the Great User Experience accolade because of Salonist’s 24/7 accessibility right on your website, mobile phone, and even Facebook page. Additionally, they commended our intuitive dashboard that centralizes all your crucial business processes in a single interface. This functionality helps speed up and improve how you make important business decisions. Salonist salon software is also growing its user base as more people discover our product’s effectiveness. Hence, we are given CompareCamp’s Rising Star award. 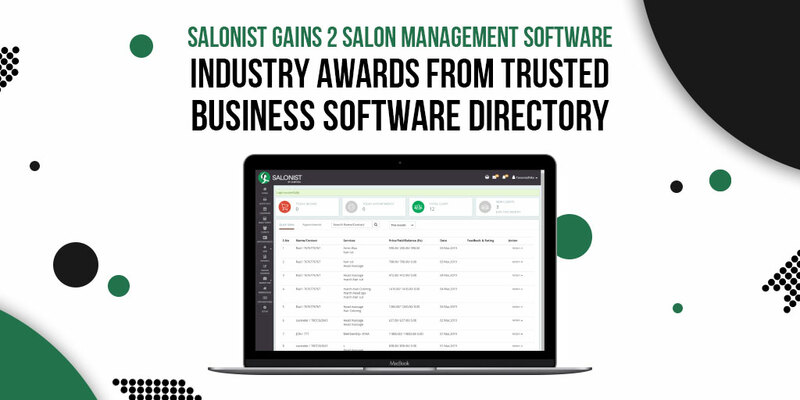 With more than 10,000 salon and spa businesses across 45 countries trusting our software, we are looking forward to better improve our software and help more businesses to improve productivity and automate time-consuming tasks. Head over to CompareCamp to read their review on Salonist and determine if it’s the right solution for your salon management needs. 25883 N Park Ave Unit A250402 ELKHART, INDIANA 46514.